Blain Michael Padgett a football player for the Rice Owls has passed away. He was the son of Mical Padgett who was a linebacker for the Longhorns from 1987-1991. Please keep the Padgett family in your thoughts and prayers. More information to follow. © Erik Williams-USA TODAY Sports (file photo) Rice Owls defensive end Blain Padgett (90) pulls down North Texas Mean Green quarterback Mason Fine (6) during the fourth quarter at Rice Stadium on Sept. 24, 2016. 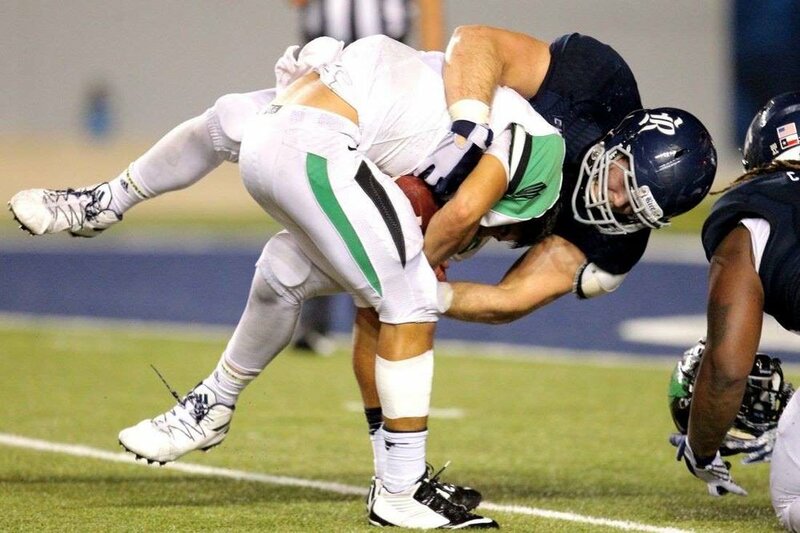 Rice defensive end Blain Padgett was found dead in his apartment on Friday, the school confirmed in a statement. He was 21. Padgett missed a workout on Friday morning, prompting teammates and coaches to become worried and contact his family, according to ABC 13. "Our team is devastated by this news," Rice coach Mike Bloomgren said in a statement. "All of my thoughts right now are how best to help Blain's family and his teammates in this very difficult period." A junior from Sour Lake, Texas, Padgett recorded a defensive line-best 41 tackles in 2016 and had 3.5 career sacks. The 6-foot-5, 250-pounder saw a shoulder injury limit him to just three games in 2017. "Our entire athletic department is in mourning over the loss of Blain Padgett," athletic director Joe Karlgaard said in a statement. "Blain was a great friend and teammate and the sense of loss is overwhelming to his teammates, his friends, but most importantly to his family, who are in our thoughts and prayers. We will do everything in our power to provide assistance to our student-athletes in this incredibly difficult time."